2016 Sharing Time Outline Theme: "I Know the Scriptures Are True"
May 2016 Scripture: “I saw two Personages, whose brightness and glory defy all description, standing above me in the air. One of them spake unto me, calling me by name and said, pointing to the other—This is My Beloved Son. Hear Him!” (Joseph Smith—History 1:17). The 5th Sunday Sharing Time Instruction time can be used in so many different ways!! Here are some ideas, hopefully one of these ideas will work for your primary of spark some inspiration. The topic for the month is the Church of Jesus Christ Has Been Restored. I was thinking it would be a fun idea to do a little game of hide and seek. This is where you could get your music leader involved too. Choose some songs before hand such as: Angel Came to Joseph Smith (#86), On a Golden Springtime (#88), The Golden Plates (#86), The Priesthood Is Restored (#89), The Sacred Grove (#87), This Is My Beloved Son (#76). You will also need to choose some items or pictures that have to do with the restoration. Such as a picture of the First Vision, a picture of the Restoration of the Priesthoods (Aaronic/ Melchizedek), a Book of Mormon, a picture of the Savior, a picture of the Prophet Joseph Smith. During Sharing Time, choose one child to come up and another child to go out into the hall. Give one of the items to the child upfront and invite him to hide it somewhere in the room. Ask the rest of the primary to not tell the child in the hall where the item is. That instead they are going to play a little singing game. When the child comes in the room they are going to start singing a song, if the child is far away from the hidden object then they will need to sing quietly, showing that he is far away. As he gets closer to the hidden object they will need to sing louder. It is kind of like the game Hot and Cold, but with singing. When the primary child finds the object then take a minute to invite the primary children to review and tell you what they have learned about that topic this month. Then continue with inviting another child up and another child in the hall. Have them hide another object and sing another song. Continue with this as long as time allows. 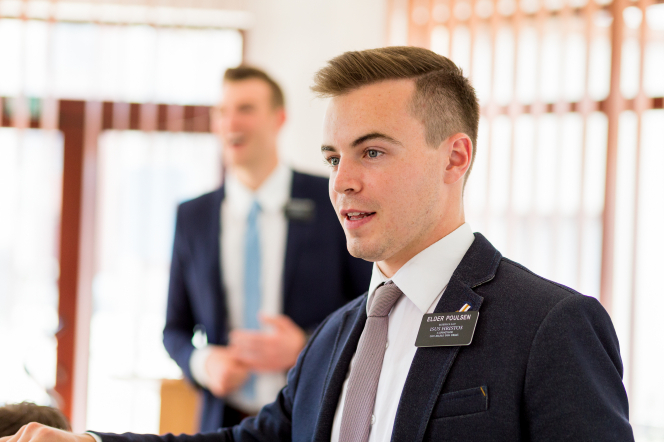 Invite either the ward missionaries or the Full time missionaries to come and teach a lesson about the Restored Gospel and missionary work. We have done this before and the kids loved having the missionaries come in and teach! It is great for them to see the missionaries in action! PUZZLES!! Using the pictures above either print them out onto card stock or paste them onto card stock. Then cut them out into pieces as shown in the image above. Put the pieces into envelopes. Then for sharing time you will break the kids into groups and give each group a puzzle. You will also give them a piece of card stock or poster board for them to tape the puzzle onto to. When the groups have completed their puzzles, invite one group at a time to come up and share what their pictures is, what they have learned about it this month and either why it's important or how they can use it in their lives. 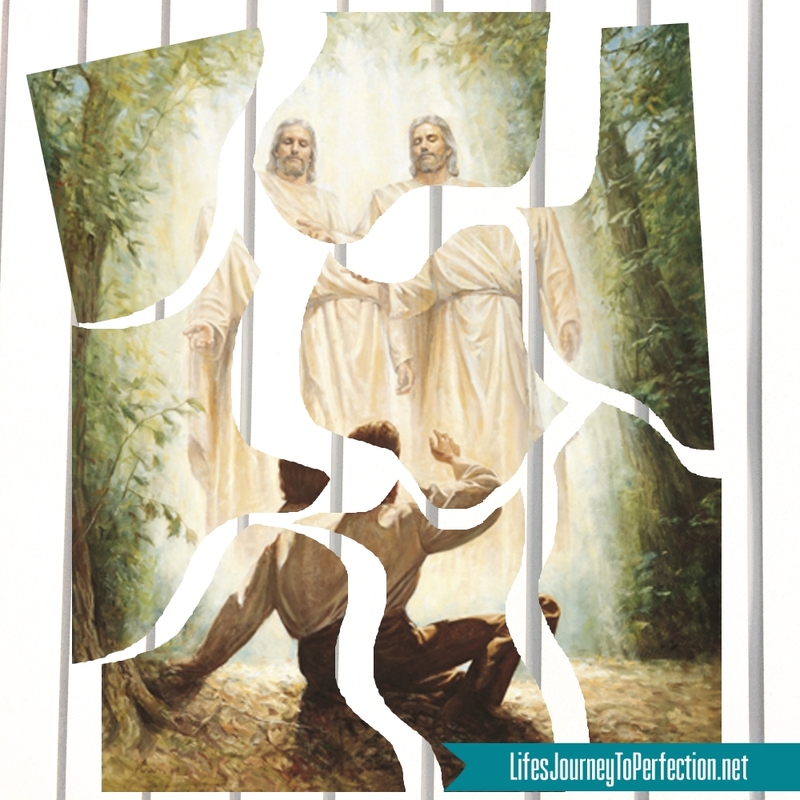 2016 LDS Sharing Time Ideas for May Week 1: The Church of Jesus Christ has been restored. 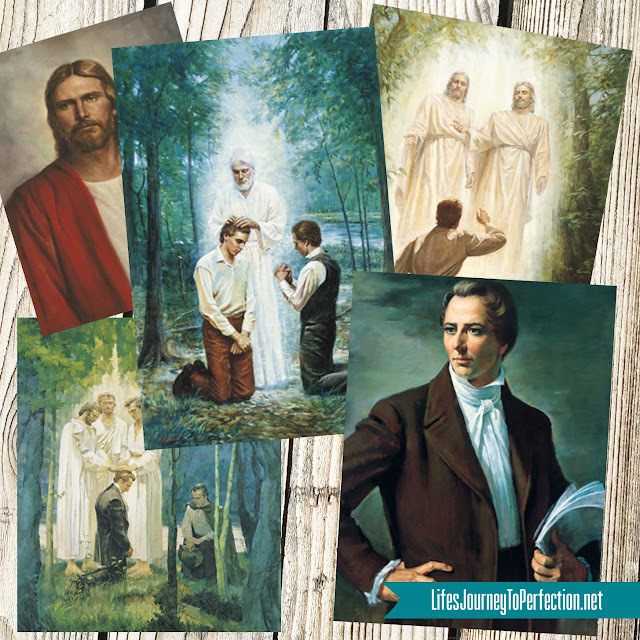 2016 LDS Sharing Time Ideas for May Week 2: Joseph Smith is the prophet of the Restoration. 2016 LDS Sharing Time Ideas for May Week 3: The Book of Mormon is another testament of Jesus Christ. 2016 LDS Sharing Time Ideas for May Week 4: The priesthood has been restored.